Virtual Reality is a complete immersion experience that removes an individual from the physical world with a VR headset. 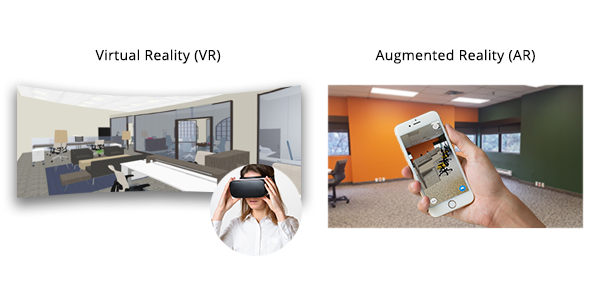 Augmented Reality adds to the reality you see, rather than replacing it. 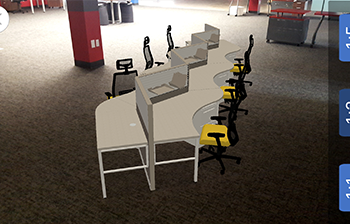 Computer generated objects are combined with a live view using the camera on your smartphone. 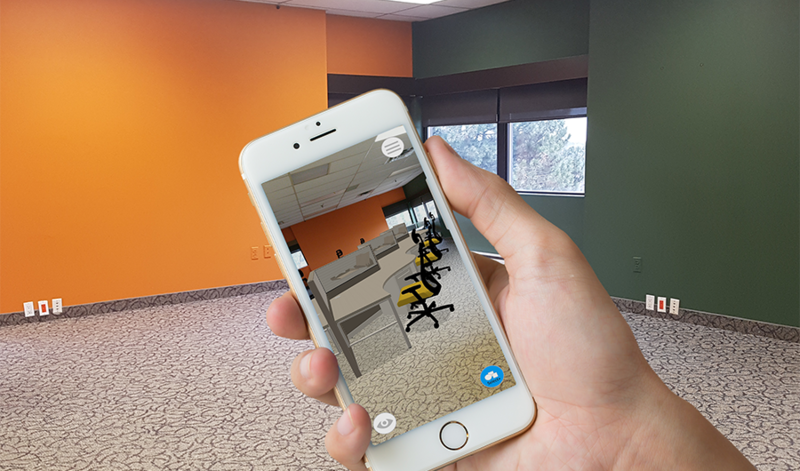 To get started with VR and AR, open a new or existing project and from the scene builder, tap the Gear Icon. 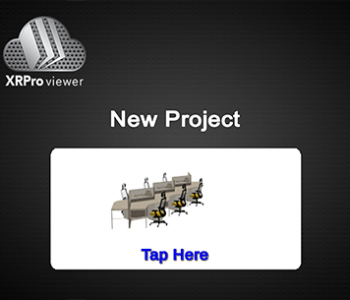 From your Projects Settings screen, tap the switch to turn KITS XR mode ON. 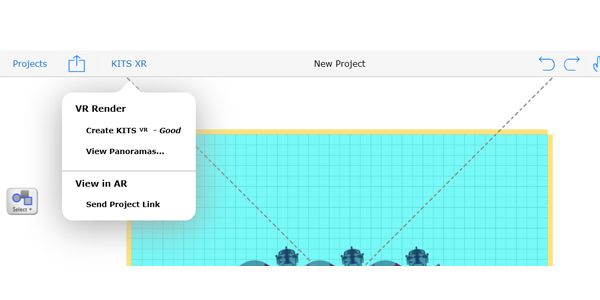 Tap Back > to return to your project. 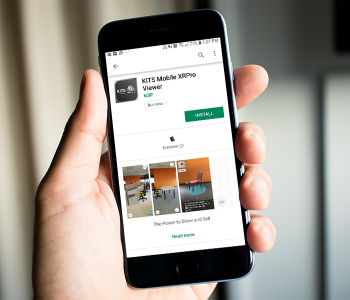 Now that KITS XR is enabled, your scene builder changes to support VR and AR capabilities. On the top navigation bar, HD Render becomes KITS XR, where you can create KITS VR Panoramas and send a Project Link to view in AR. You will also notice that Elevation View is unavailable and a new button, VR View appears. 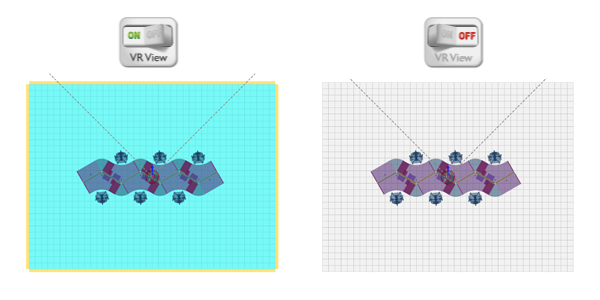 This button allows you to temporarily hide the 3D environment around your floor grid by setting VR View ON or OFF. 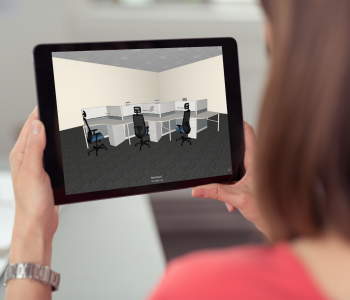 In XR mode, a 3D environment is created and bound to your floor grid. This includes 4 walls, a ceiling and a floor. These architectural elements can be customized with different swatch options. 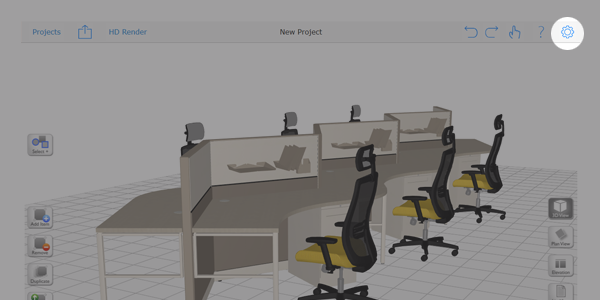 Learn how to specify your walls and floor in our article Editing Your Default 3D Environment. 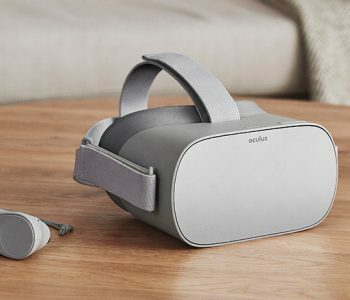 Another new addition to XR mode is the VR target. 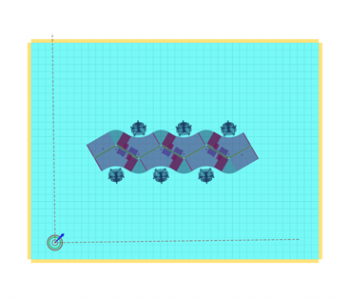 Tap and move this object to set your initial front view and perspective. 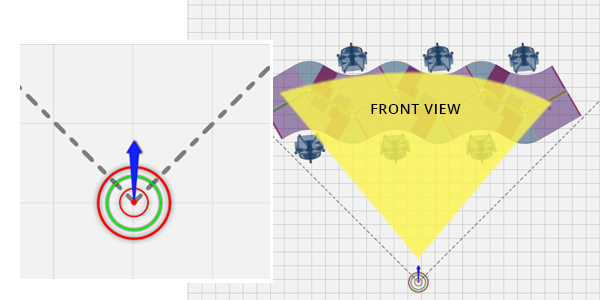 All angles around the target are captured, but the blue arrow indicates your first view when opening your VR project. Remember to keep the target on the floor grid and inside the four walls for a successful panorama.